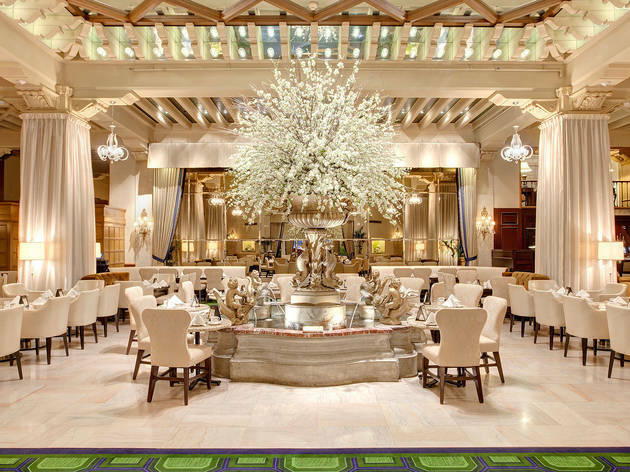 There's something intrinsically luxurious about afternoon tea, and Chicago's best restaurants and hotels go to great lengths to elevate the experience. 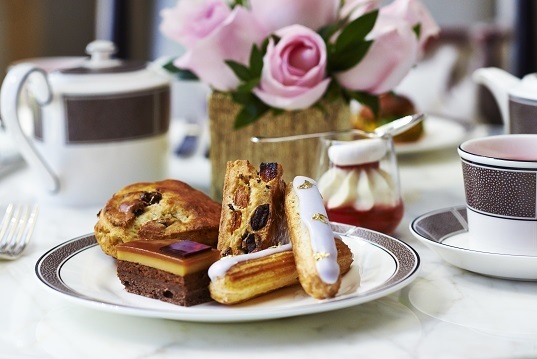 If you're looking for something traditional, turn to the city's age-old tearooms and downtown hotels, where aromatic beverages are served alongside tiny sandwiches, colorful pastries and canapés. 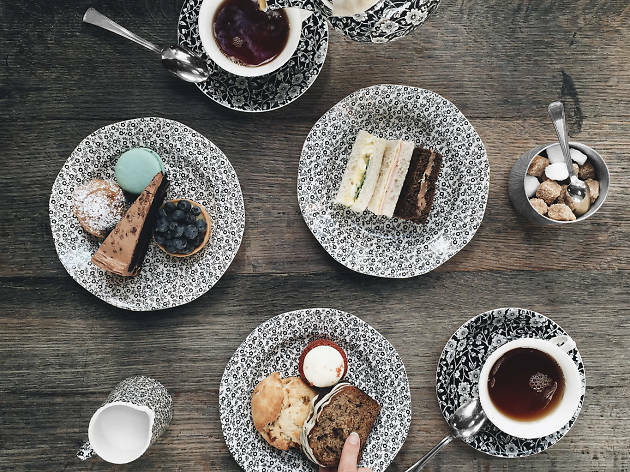 For those who crave a modern twist, properties like Soho House and Virgin Hotels are breathing new life into the tea-time ritual. Most of these spots will even let you toss in a mimosa or two. Put your pinkies in the air! 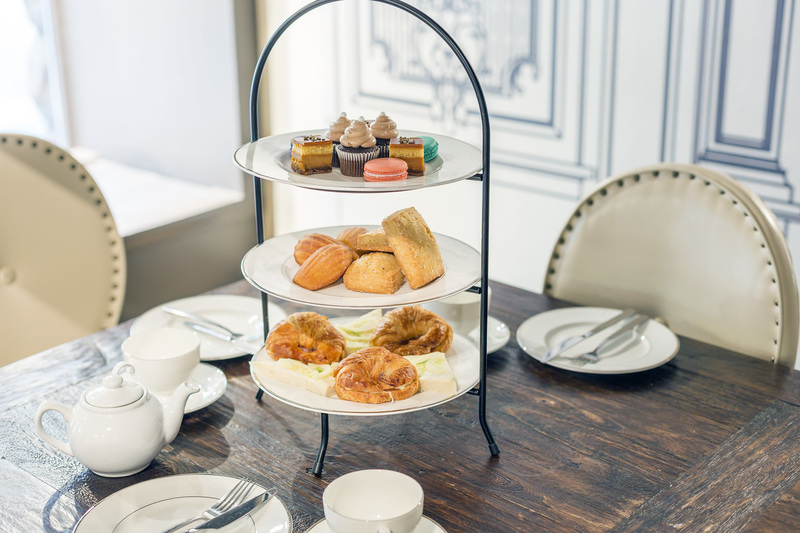 These are the best places to go for afternoon tea in Chicago. 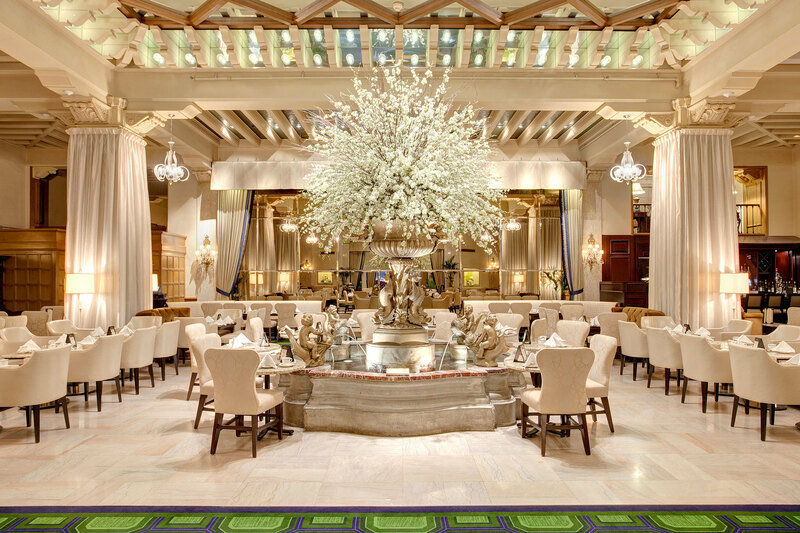 There's no denying it: You'll feel like a million bucks as soon as you walk through the doors of the Langham. 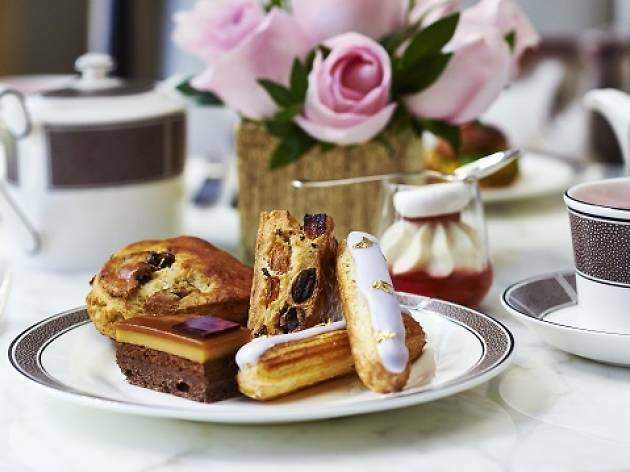 Elevate the feeling further when you grab a seat in the Pavilion for Afternoon Tea with Wedgwood, a tradition that started back in 1865 at the Langham’s London outpost. The hotel offers themed experiences for holidays like the Chinese New Year and Valentine's Day, incorporating themed nibbles such as the five spice scone and a "bleeding heart" macaron. $70 per person, served Monday through Friday 3–5pm and Saturday and Sunday 1–5pm. 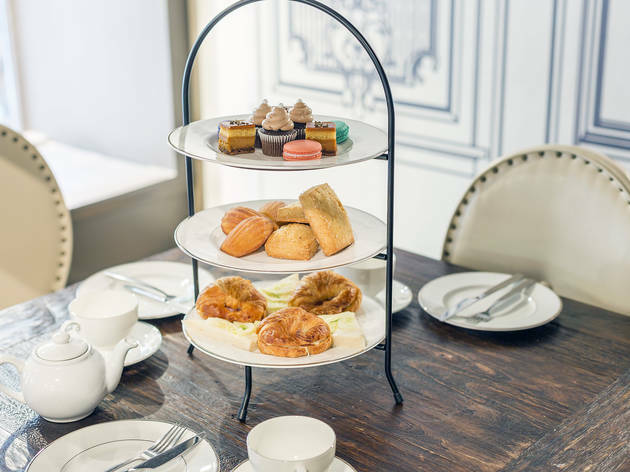 A dedicated children’s menu and a sensitivity to the importance of giving one’s doll a chair of her (or his) own make afternoon tea at this Mag Mile grand dame one of the city’s most family-friendly. It’s also one of the busiest teas, particularly during the holiday season, when the room’s central fountain wears a shimmering crown of silver boughs and the standard entertainment is augmented with a band of roving carolers. Tea service here is no mere tourist gimmick; rather, it features a nice menu of sippers from French outfit Palais des Thés and a selection of food composed with care. $49 per person, served daily 1–4:30pm. The most pleasant time to visit the Allis is late afternoon, when sun slants through the floor-to-ceiling windows overlooking Green Street and the quiet is tempered by a Woodstock-era soundtrack playing at a low volume. No one will expect you to put up your pinkie here, but the tea service is no less lovely for its low-key mood. 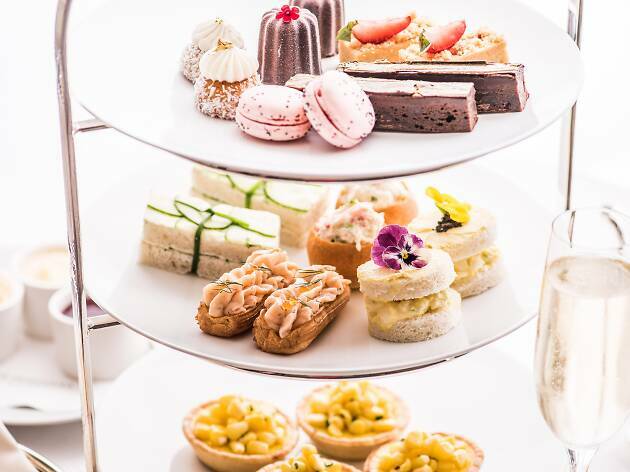 Guests can choose the traditional afternoon tea service— which includes finger sandwiches, scones and a selection of fancy cakes along with your tea of choice—or the Sparkling Afternoon Tea, which tacks on a glass of bubbly rosé or prosecco. $45–$54 per person, served daily 2:30–5:30pm. A suspended-in-time quality hangs about this long-running Loop tearoom, which boasts white tablecloths, brass chandeliers and folk music. Similarly, the afternoon tea service waves off modern notions of fussy minimalism, instead taking a feed-you-like-a-babushka approach. 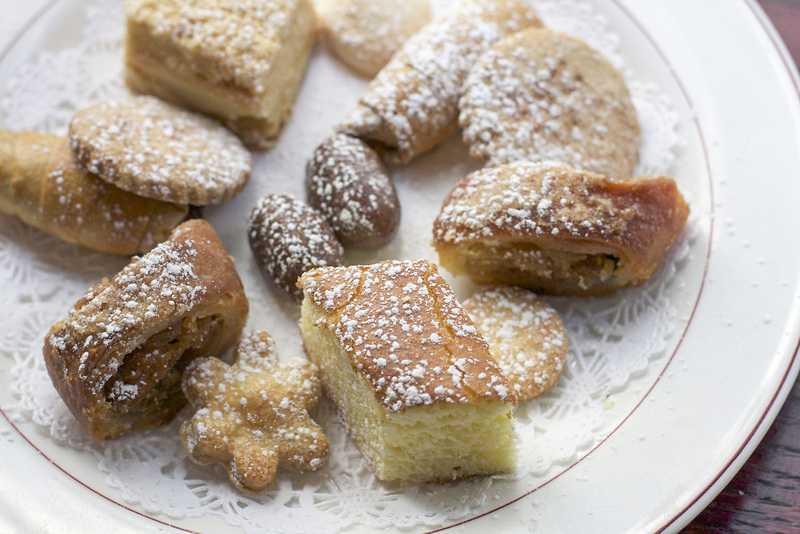 A tri-level tray practically sags with the weight of multitudinous sweets and savories. As you might expect, it’s the Russian-accented items—an oniony little potato piroshki, napoleon torte rich with pastry cream—that are most memorable. The many-page menu of Adagio teas features some interesting choices, like Genmaicha, a green tea enriched with toasted rice. $29.95 per person, served daily 2–4:30pm. 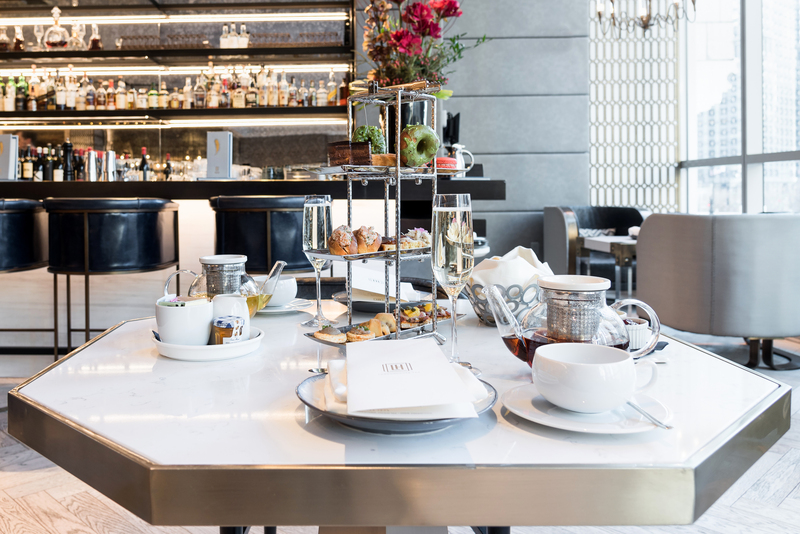 Sweeping city views are a free perk included with tea service at LondonHouse Chicago. 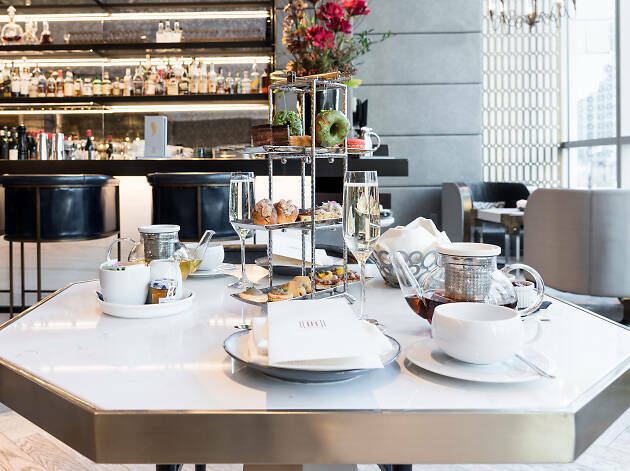 The posh riverfront hotel serves a contemporary take on high tea, with a mix of traditional treats (think scones, croissants and accoutrements) and flavorful bites like duck pastrami with poached peaches and scallions on rye bread. On the beverage front, selections from Sparrow Teas are offered alongside LondonHouse's menu of wine and cocktails. $50 per person, served daily 1–4pm. Break out your pillbox hat and don your best gloves. 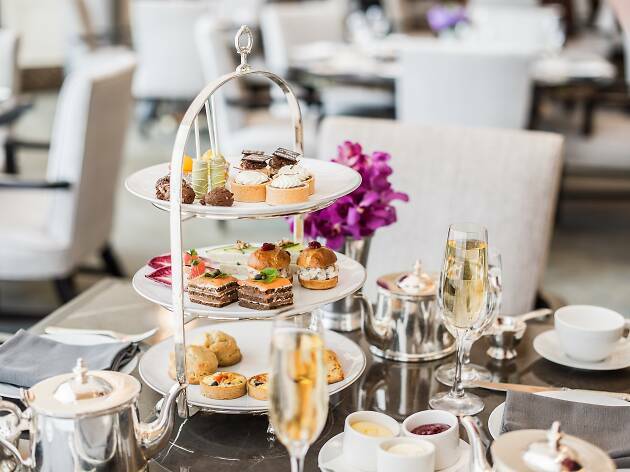 With its gilded cupola ceilings, dainty place settings and mannered servers, the Lobby does afternoon tea with a dash of pomp and circumstance. 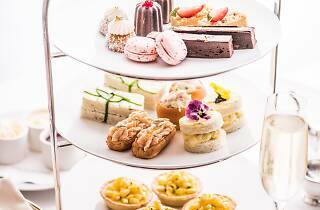 A selection of petite pastries wins major prettiness points, with selections like chocolate-orange pound cake, smoked salmon finger sandwiches and butternut squash quiche. Make it a celebration by adding a glass of champagne for $15. $75 per person, served Monday through Saturday 2:30–4:30pm and Sunday 3:30–5pm. If you like to spill tea while you sip it, grab a table at the Commons Club at Virgin Hotels Chicago. The bar's themed tea parties include boozy concoctions, tea towers of sweet and savory snacks and a bumpin' playlist. $35–$45 per tower, served every Saturday 1–4pm. 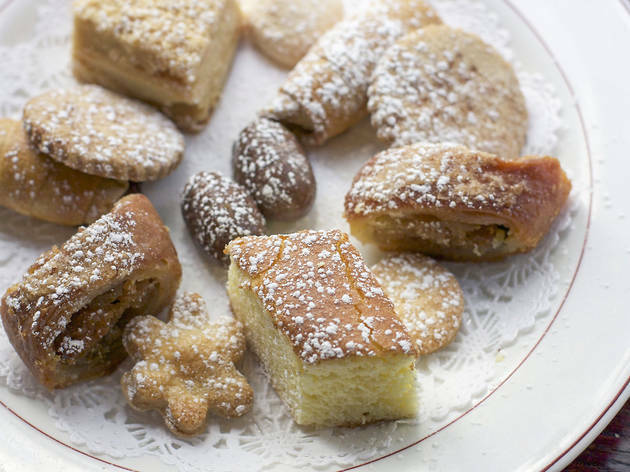 The sheer loveliness of Vanille’s French pastries carries over to its afternoon tea, served at its Lincoln Park, Lakeview and Hyde Park locations. The whimsical tea selection, from local supplier Benjamin, favors bakery flavors like deeply fragrant roasted almond and sweet honey milk ginger. A warm sandwich of black forest ham, gruyere and shallot aioli on a buttery mini croissant makes an excellent opener, but it’s the sweets that steal the show. Highlights include a tender French Madeleine and chocolate cupcakes with decadent ganache buttercream. Prices vary, served Thursday through Sunday at noon, 2 or 4pm.